Relationship between sarcopenia and physical activity in older people: a systematic review and meta-analysis. Physical activity (PA) has been identified as beneficial for many diseases and health disorders, including sarcopenia. The positive influence of PA interventions on sarcopenia has been described previously on many occasions. Current reviews on the topic include studies with varied PA interventions for sarcopenia; nevertheless, no systematic review exploring the effects of PA in general on sarcopenia has been published. 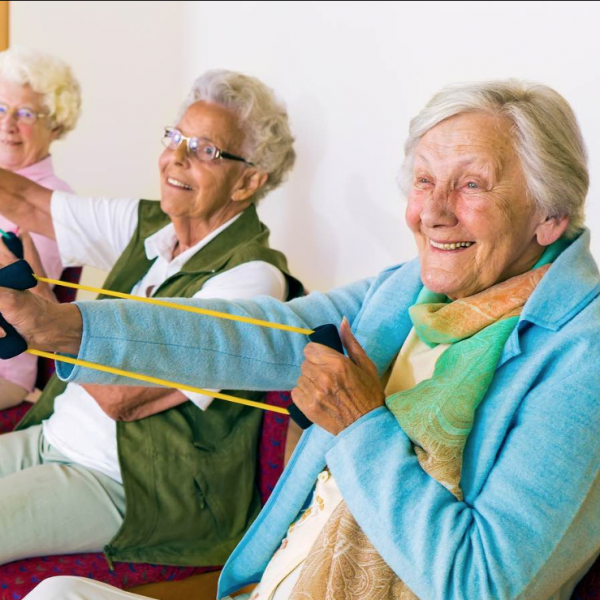 The main aim of this study was to explore the relationship between PA and sarcopenia in older people on the basis of cross-sectional and cohort studies. We searched PubMed, Scopus, EBSCOhost, and ScienceDirect for articles addressing the relationship between PA and sarcopenia. Twenty-five articles were ultimately included in the qualitative and quantitative syntheses. A statistically significant association between PA and sarcopenia was documented in most of the studies, as well as the protective role of PA against sarcopenia development. Furthermore, the meta-analysis indicated that PA reduces the odds of acquiring sarcopenia in later life (odds ratio [OR] =0.45; 95% confidence interval [CI] 0.37-0.55). The results of this systematic review and meta-analysis confirm the beneficial influence of PA in general for the prevention of sarcopenia. Steffl M, Bohannon RW, Sontakova L, Tufano JJ, Shiells K, Holmerova I. Clin Interv Aging. 2017 May 17;12:835-845.